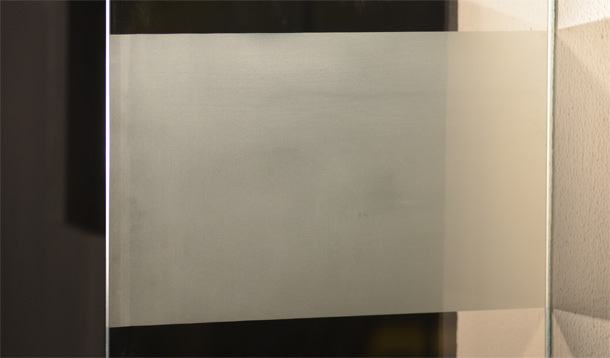 Sand Blasting: Sand blasting is engraving on glass by using air and sand pressure; its translucent effect depends on the engraving depth. 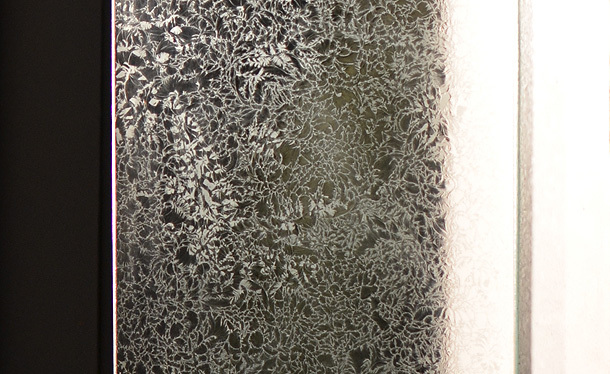 Givre: Etching by chemical treatment. All above processes are applied on decorative glass, mirrors, shower cabins, furniture, stairs, tiles, paths and balustrades, interior doors and partitions.